Why should a person with back pain after a car accident be concerned which type of doctor they see first? Why do you have neck or lower back pain after a car accident? Is life trying to torture you for the rest of your life without any reason? The coordinated organic function [s] of any organ [say a muscle] occur because it is controlled by nerves that originate from the spine [spinal nerves]. The ultimate control of these spinal nerves are interconnected within the spinal cord and further from the spinal cord to the brain. Back pain after a car accident means the ultra-precise communication carried by spinal nerve from the brain are no longer able to coordinate and or control the target organs they are destined to provide life for. If a person has back [cervical, thoracic and lumbar regions] pain after a car accident, it means the neural arcs of communication between the brain and spine and then out to any organ, are at risk of being first partially and then over time eventually permanently partially disabled. Spinal pain after a car accident is therefore an expression of the brain’s innate intelligence acting mercifully on your behalf to correct an enormous health problem. If left unresolved, spinal injury will inevitably cause the quality of living you enjoy so much to simply fade because of ‘an unknown cause took your quality of life away”. Wake Up Call: Listen straight up to back pain after a car accident as a warning to go see your chiropractor FIRST. Do follow-up in your desire to subdue the immediate pain through prescribed sensation killing narcotics of one degree or another. Remember this is by no means a measure of correcting the basic problem of a trauma related spinal subluxation. The critical healthy jeopardizing situation that post-auto injury back pain alerts you to is called a spinal subluxation. There are three classification of stress which cause spinal subluxations [1-physical, 2-nutritional, 3-psychologically]. Although each of these three forces can cause a subluxation by themselves, most subluxations are caused by some combination of the three. A slight physical trauma, which ordinarily would not cause a subluxation, does so because of muscle tension due to emotional factors. Given this three-fold interpretation of spinal vertebral subluxation, the following symptoms in addition to spinal pain can include: [1-Dizziness or balance problems. 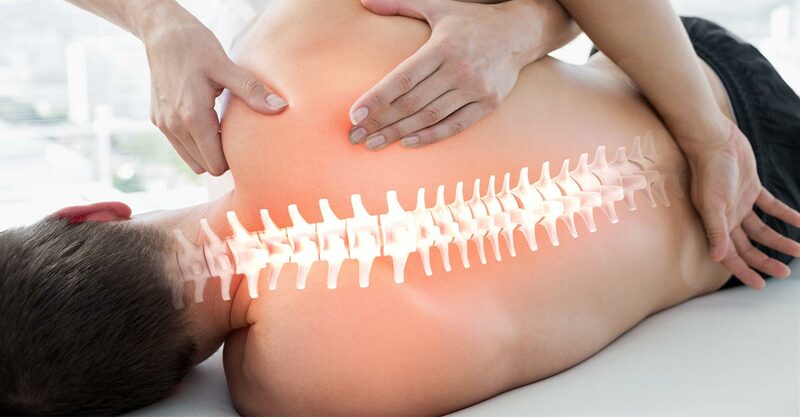 2-Spinal muscle spasms, 3- joint tightness or weakness, 4- Reduction in spinal mobility. 5-Pain, numbness or tingling in the extremities as 6- Spinal joint pain, tenderness or stiffness. Without any doubt or hesitation, who do you reach out to when you have had a car accident and your back hurts? Answer: see your primary doctor of chiropractor right away! Chiropractors are specialists in correcting subluxation and other misalignments. A chiropractor can restore the misaligned vertebrae to their proper position in the spinal column. They do this manually by using the chiropractic procedure known as spinal adjustment. If you have had a car accident: Call Dr Robert C Slater DC, a certified orthopedic specialists and certified nutritionist at office: 651-699-3366/cell 952-217-9587 right away.